Buy a Book and Support CRHE! 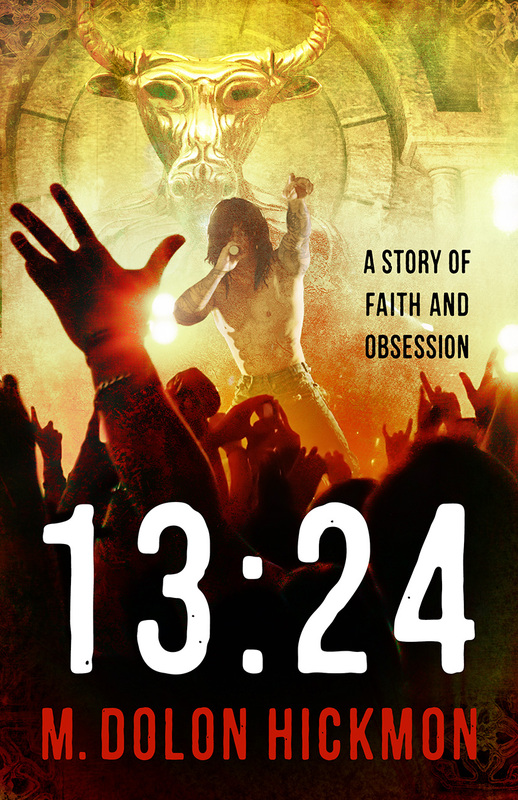 Author M Dolon Hickman is donating the proceeds from 13:24 | A Story of Faith and Obsession, to CRHE until December 31st! You can buy his book for yourself or as a gift and support CRHE at the same time! The highest praise I can give M Dolon Hickmon’s debut novel is a trigger warning: While I believe that everyone everywhere needs to read this book, I must urge those with a history of physical or sexual abuse to approach this title with care. I personally had a nervous breakdown after I finished it; I couldn’t breathe because it felt like someone had punched me in the gut. And I could not console myself by saying, “This is fiction.” It isn’t, as anyone who has experienced child abuse will recognize. Hickmon gives readers an uncommon gift: a brief look behind the curtain of tragedy, a fleeting chance to understand a little more than we did. In his prologue, the author explains his intentional use of real-life parallels, based on his childhood experiences and research into religiously-motivated child abuse. Also examined are the intersections between child trafficking rings, physical and sexual abuse, and fundamentalist cults. Woven with fictional elements, these create the book’s complex, dark, and brutal narrative. 13:24 is the story of two young men: Josh, a rising rock star, and Chris, the neglected teenaged son of a drug addict. Their stories begin distinct and distant, but as the novel develops, their pasts—and futures—are revealed to be connected in ways that both shock and disturb. The story opens on a gruesome murder. While the body count rises, questions multiply as a small-town detective chases Chris as a murder suspect. Along the way, readers encounter events and characters with uncanny real-life parallels: Josh has flashbacks of being abused by his minister father, who resembles Michael Pearl and advocates harsh physical punishment; in another thread, a controversial parenting manual is linked to a spate of discipline-related deaths, bringing to mind real-life cases, like those of Hana Williams and Lydia Schatz. Elsewhere, an imprisoned child abuser is freed through the efforts of a “homeschool legal defense fund”, reminiscent of the Home School Legal Defense Association. At the same time, an oily “Christian psychologist” heads a James Dobson-esque media empire, with tendrils in state and national politics. 13:24 may be fiction, but it describes the lives of any number of people I have known. In its imagery, I recognize moments that friends and colleagues have breathed and suffered through. That is what made this novel so hard for me to read. The book exposes what many religious and homeschooled children experience every day. Readers witness their pain and hear their cries. We see their misery multiplied when it is justified in the name of God; we see their tragedies covered up to save face and preserve religious “freedom”. And unlike a Frank Peretti novel, there are no angels rushing in to the save the day. We must pick up the pieces and fight this present darkness. 13:24 is not easy reading. It is neither uplifting nor redemptive. It will crack your heart open, set your blood on fire, and turn your screams into music. Most significantly, the characters’ actions are neither justified nor condemned by the author. He simply allows them to exist. In doing so, Hickmon gives readers an uncommon gift: a brief look behind the curtain of tragedy, a fleeting chance to understand a little more than we did.